time, is quite a nightmare. If any of you had the opportunity to visit this city from the West Coast of the United States, you probably know then that traffic is a real hell there. 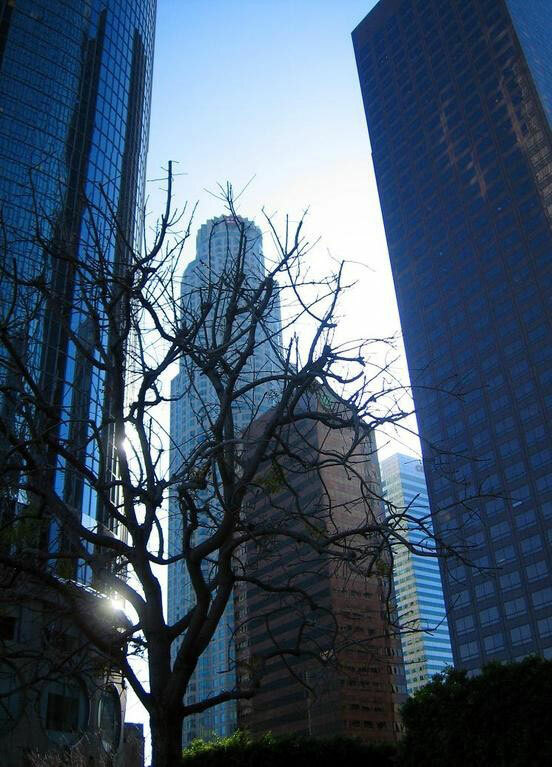 But once you arrive to that little crystal jungle and you begin to drive between the buildings, you forget very fast the bad sensation of not knowing whether you were going to be on time. 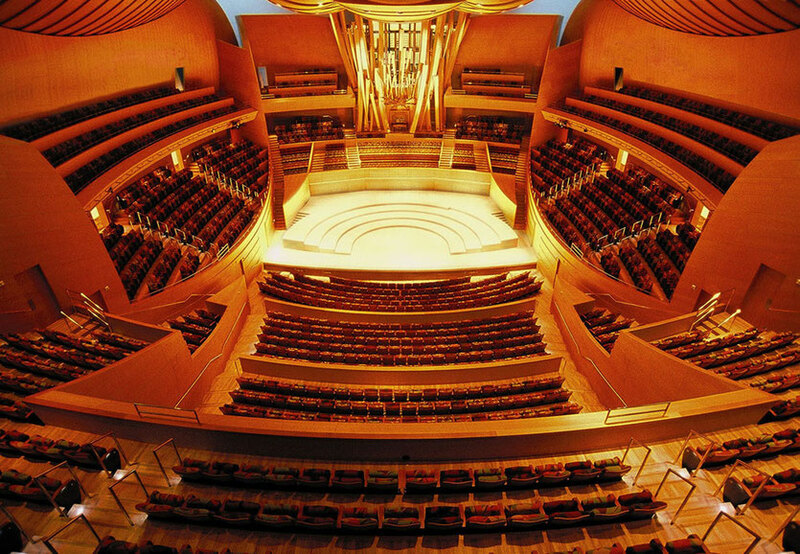 You are already there, you see in the distance the Walt Disney Concert Hall, an arquitectural work by Frank Gehryk (Guggenheim museum in Bilbao) and you begin to feel the emotion of the moments before that concert that you have been waiting for so long. The hall is packed, 2265 tickets sold, plus an extra day repeating the "sold out" at the box office. Audiences of all ages and styles: executives, musicians, families, groups of teens, twenties, thirties, forties, fifties, ..., barbies with heels, with sandals, with cowboy boots, tough men on suits, on jeans and cowboy hat, on shorts and flip flops. 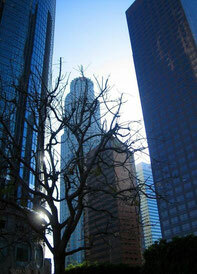 In short, the whole fauna of Los Angeles, Beverly Hills, Hollywood, Santa Monica and surrounding areas. Lights out, the actor Garry Shandling appears with a funny monologue of half an hour and after that we have Ryan Adams on the stage. The first chords on the guitar of "Oh My Sweet Carolina" and his voice finally sounds. I don't know how to describe that moment. 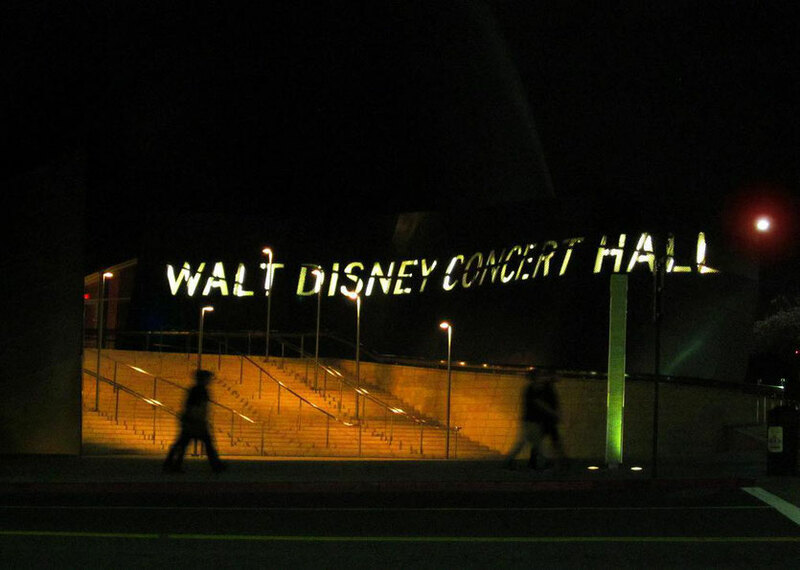 The acoustics of the Disney theater is truly unique and being the headquarters of the Los Angeles Philharmonic, the experts say that its sound is even better than the neighboring building, the Dorothy Chandler Pavilion, Los Angeles Opera, directed by our very loved Placido Domingo. Ryan Adams's voice sounds sweet, clear, simply beautiful. You hear it all, his hands on the wood of the guitar, on the strings, every chord, every whisper, every breath. I have attended many concerts at the Royal Theatre in Madrid, and many concert halls and venues of all genders and classes, but I never had the opportunity to appreciate the purity in the sound of a simple instrument as an acoustic guitar and the voice of a singer who performs his music with the simplicity of an innate gift. Ryan Adams, 37 years old singer from North Carolina, not to be confused with the Canadian rock singer Bryan Adams, is a singer who mixes melodic ballads to neo folk and country music. His voice has all the tone, texture and color of the purest country singers. But the way he inserts the highs and blend his interpretation completely remove him from a too rustic genre for a musician of exquisite and refined taste. Sometimes naive, always romantic and melancholy, Ryan Adams has talent enough to be a country music star, but he stays on his music, in petite committee, a very big petite committee of course, but far away from the vagaries of plastic and lights of the degeneration of current country. I leave here the set list of the concert, a concert that without the opening performace lasted 3 hours. But I also leave here a full video of Ryan Adams's performance, a few months ago in Breda, The Netherlands. The concert in Breda is very similar, almost identical, to the one I attended yesterday in Los Angeles, except for the fact that the interactions between Ryan and the public have been deleted. I did not mention that Ryan Adams has a hilarious mood. In between each song the singer released more spark than the best comedian of canned monologues. 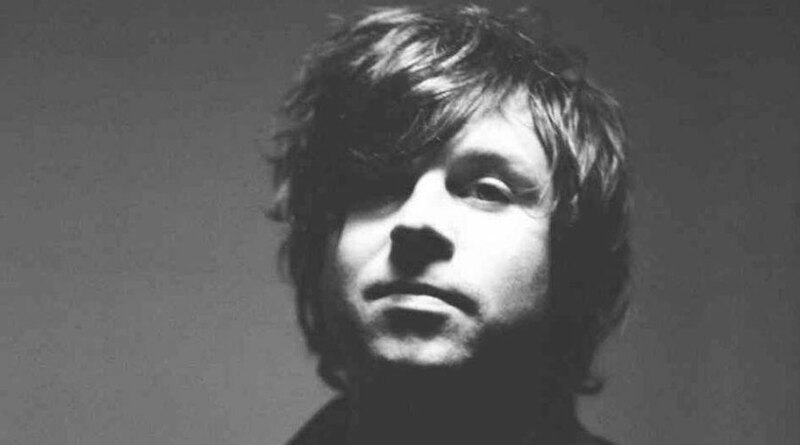 The anecdotes are repeated, constant improvisation, he even changed the lyrics or composed a song right there to relate his experiences of the day, or respond to requests for an audience that was totally delighted with this great musician, Ryan Adams. 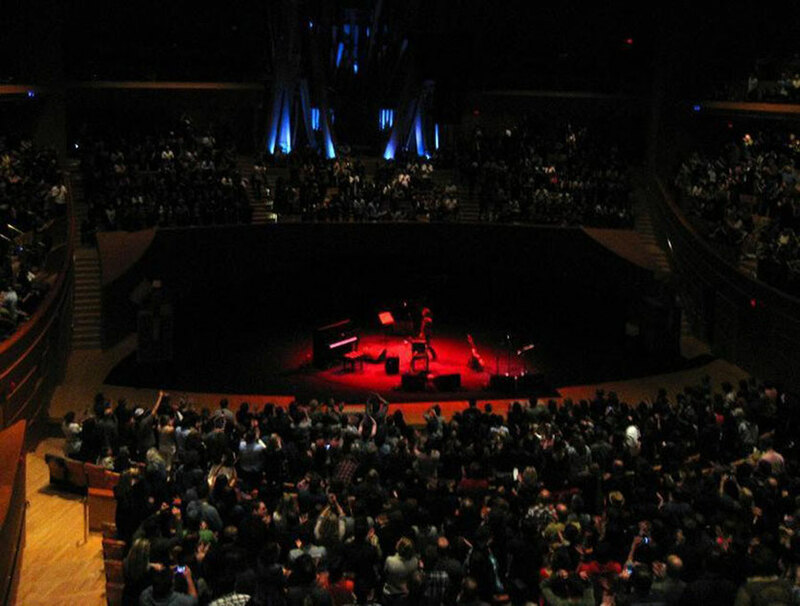 No pictures: At Ryan Adams concerts it is totally forbidden to take photographs. Despite the excellent seats where we were located, I couldn't almost get any image. 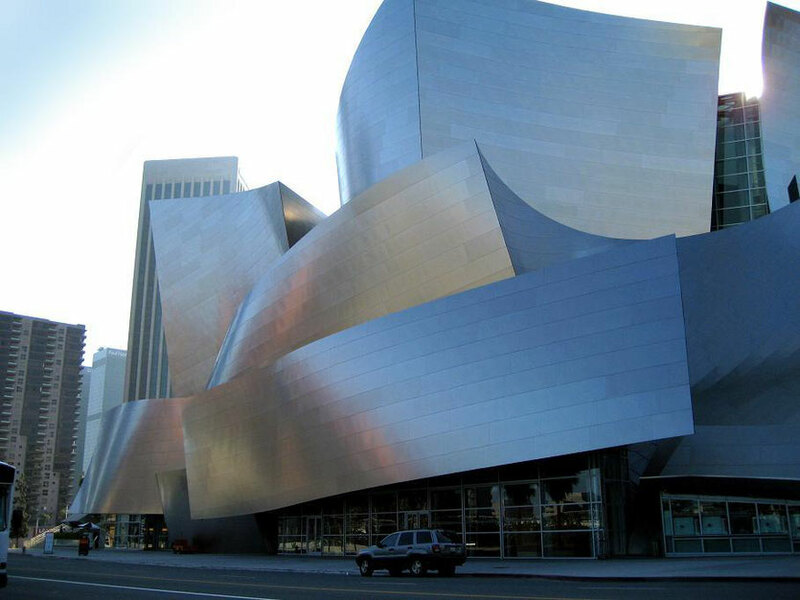 The invisible piano: The audience at the Walt Disney Concert Hall in Los Angeles is completely surrounding the stage (see picture). 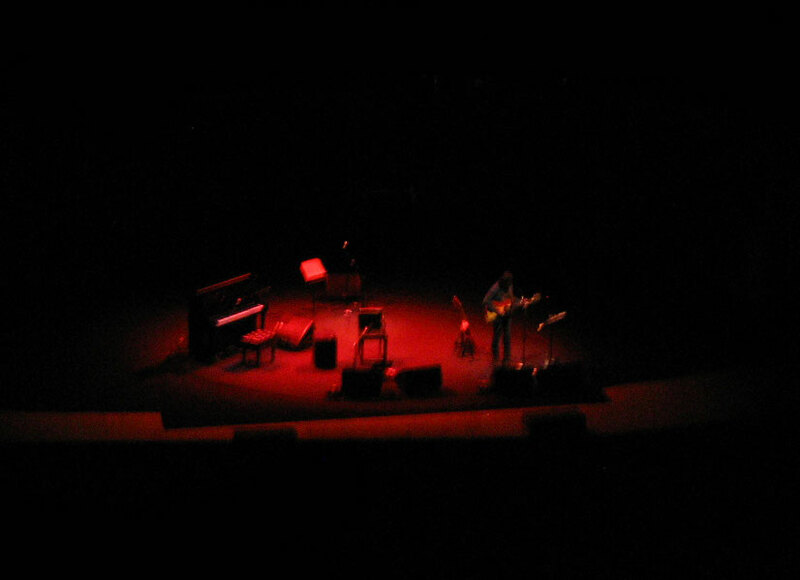 And on the stage there was a piano, the tricolour acoustic guitars of Ryan Adams and several microphone sets. At the time to play the first song on the piano, Ryan made a brief comment on the unusual orientation of this one, triggering a hilarious monologue about the place. "This is Los Angeles, man!" "I mean, the piano .... the piano there will be invisible" "because in LA the public is everywhere, so I am pretty sure that they will have an invisible piano so everyone can see me". "Well, not really invisible, because if it was invisible then I would not see the keyboard, then I would play horrible (playing hard and funny on it)". "So it will be made on crystal. Yeah that people in LA they certainly put a crystal piano". "And what about the microphones?" "They said: Ryan, I'll put a microphone for you up there, right in the top. You'll see, you'll love it". "Well dude, if you say so, you're the expert, but I swear that I did not reach up there!" Mr Cat: Mr Cat is a joking song about the daily life of his cat at home. The sleepy and tyrant cat with unintelligible sounds made when it see the birds by the window. A funny song that reveals the child within this great singer. Harmonica: Almost at the end of a song that was played with the guitar and harmonica simultaneously, the guitar strap dropped. With a single exhalation he continues playing the harmonica while correcting the position of the guitar, and place the strap. Ready again he stops the harmonica and almsot asfixiated say: "ouch!" Moving on the Stage: After playing several songs at the center of the stage, Ryan Adams put his jacket on, grabs his two guitars and puts everything ot the right side of the stage, just 1 foot far from before. He returns, picks up his bottle of water, a glass, he cleans the small table where the bottle was, he says to us "Be right back", he goes 1 foot to the right, he leaves everything on the floor, he takes off his jacket and throws it down, grab the guitar, he play a chord, he stops, he take the jacket from the floor, he folds it carefully and he leave it on the floor again, then start playing to the audience on the right terrace, just 1 feet from where he was before. Encores: At the end of the show, he goes to a corner of the stage outside the spotlight, and after just two seconds he come back to the center of the satge and says: "Good! they let me 3 more minutes". A fantastic concert that lasted 3 hours and 3 minutes.